We’ve all been there: had a hard workout, done a little too much yard work, gone out of our comfort zone in that company softball game…and the next day it’s almost impossible to move. If you live in a two-story house, you suddenly begin longing for a chair lift. You just want to sit still and try not to add to your pain. So what gives? We’ll tell you what that pain is all about, as well as how to manage the discomfort and some signs that it might be something to keep an eye on. Although your post lawn-mowing or hard gym day pain is seriously uncomfortable, it’s rarely serious – so that’s the good news. Your sore legs were formerly chalked up to lactic acid build up, but these days it goes by a different name: delayed-onset muscle soreness or DOMS for short. According to the American College of Sports Medicine, the prevailing theory is that DOMS is caused by microscopic damage done to muscles during repetitive activity such as: running, jumping, lifting, etc. that causes muscle lengthening during applied force. The ACSM notes that many people experience DOMS when they increase the intensity/demands of their physical activity – and the bad news is that all of us are susceptible to this post-activity pain, whether you’re a stellar athlete or more comfortable on the couch. Ice, ice baby. Ice can help with any inflammation and calm your discomfort. It can’t turn back time but it can make the present more bearable. Although some people swear by the full ice bath experience, ice packs are easier to apply to specific sore spots. Take a break. It can be frustrating to take time off from your usual routine just because of DOMS, but you won’t see any improvement and your muscles need the rest. You can risk acute injury if you push past this discomfort with a tough workout or physical labor. It’s best just to wait out the few days that your DOMS will last and then return to your routine. Increase slowly. Prevention is better than trying to find a cure. By increasing the intensity/length/demands of your activity slowly, you’ll limit your risk of having a few days of unpleasant DOMS. Pay attention: DOMS is called “delayed-onset” for a reason. It typically begins 24-48 hours following strenuous activity. If you notice serious discomfort either during or immediately following your activity, pay attention. You may have over-worked or even injured a muscle, instead. DOMS is also usually more wide-spread so if you have immediate pain in a specific area only, this is a warning sign. If you experience pain that limits your activity (or your life), we can help. Body One Physical Therapy has a team of dedicated, caring physical therapists who will work directly with you to help you reach your goals of improved total health and well-being. You don’t have to accept limitations on your movement, balance, strength, or activities! Body One can help get you back on track. 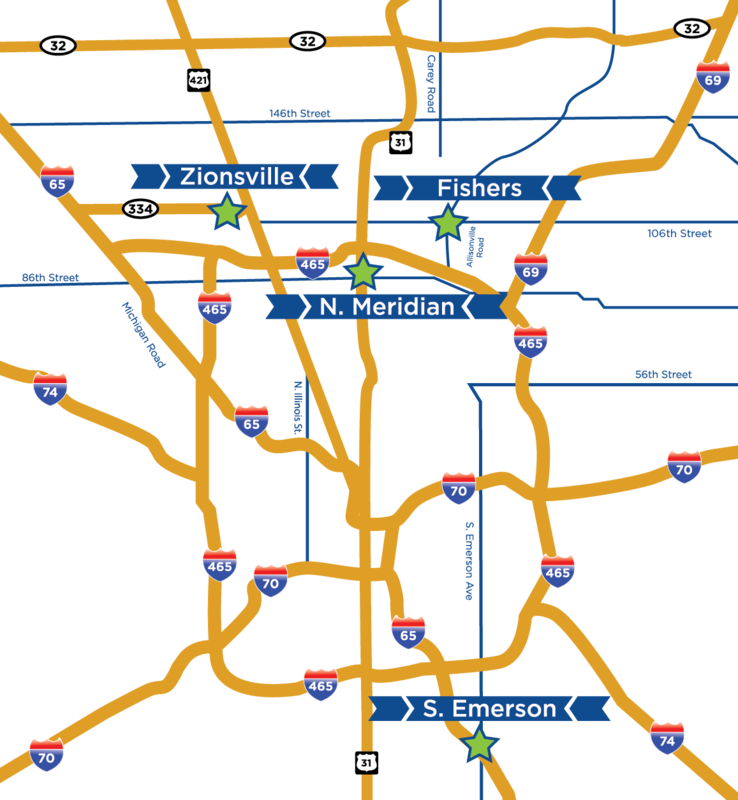 We are locally-owned with five locations near you serving central Indiana: Downtown Indianapolis, North Indianapolis, South Indianapolis, Fishers, and Zionsville. Call us today and put your pain in the rear view mirror.